Yesterday I was working on my project that is based on Linux and we were working on Fedora Linux. I was amazed to see the features in Fedora Linux specially the 3D desktop and jelly like effects. If you ever worked on Linux then you must be aware of these effects. The same effects that I found in Fedora are also available in Ubuntu. 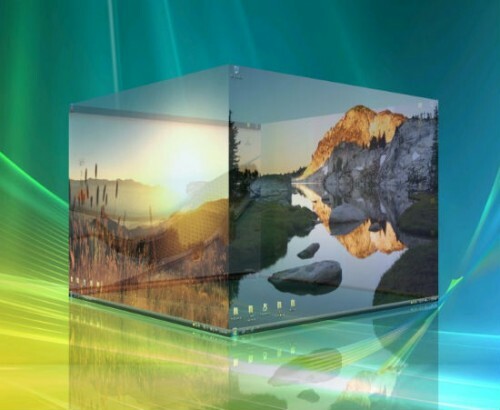 Today I found an application – Deskspace for windows that will give you the same 3D desktop effect in your Windows PC. Deskspace provides you 6 desktops. So you can eliminate desktop clutter by arranging your windows and icons across these 6 desktops, all easily reachable by navigating a desktop cube. You can set a different wallpaper and icons for each desktop. You can also chose a name for each desktop to make them easier to recognize. Deskspace is compatible with 32-bit and 64-bit versions of Windows XP, Windows Vista and Windows 7. .-= Sumanth´s last blog ..How to Format Ur Windows Computer & Install An OS(Operating system) =-.